things she owns. We haven't bought her any bottle's yet, but that is mainly because we have been told she may have a cleft palate and normal bottles won't be any good for her then. So tomorrow I am dragging poor Mark to Llandudno to really do some SERIOUS baby shopping. I started jotting down a list and it is really quite frightening the things we need:- 1) Changing Mat 2) Nappies 3) Terry Towels 4) Wipes 5) Sudocreme 6) Teddy Bear for Martha to have in her cot 7) Print off a photo of Osh & Isabella to put inside Martha's cot 8) Dummies 9) Gripe Water 10) PJ's for me 11) Slippers for me 12) Dressing Gown for me 13) New Underwear 14) Maternity Pads & Breast Pads 15) Wash bag essentials 16) Books to keep me occupied while Martha is in ICU 17) A pretty notebook to write in (someone told me if I keep track of her condition it will be easier to see how much progress she is making) 18) Everything for Mark Luckily we have a LOT of baby girl outfits left from Isabella, they look practically brand new and I was heartbroken when Isabella stared getting too big for some of them. I have a horrible feeling that I might have forgotten a load of things off the list though (if you notice anything missing from my list, please let me know) One thing I have got is a new Baby Changing bag. 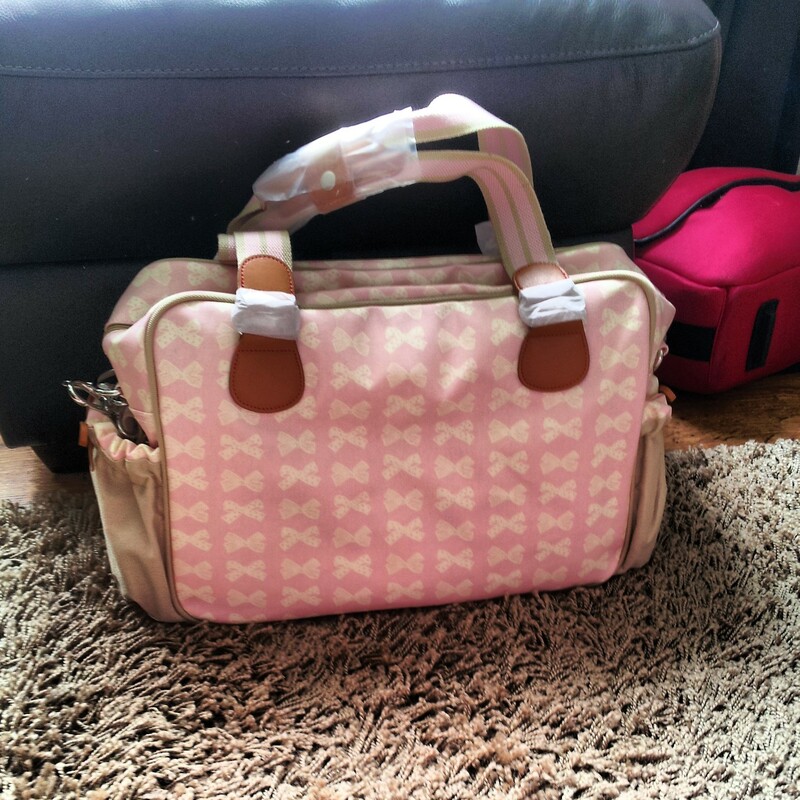 I had decided from the very beginning that as I wasn't indulging in a brand new pram this time around that I would treat myself to a gorgeous changing bag. I was over the moon when the courier delivered it the other day, another rare moment of feeling just like any other mum-to-be.